wedding reception Canfield casino..Groomsmen celebrate in group at a Canfield casino wedding in Saratoga Springs NY. 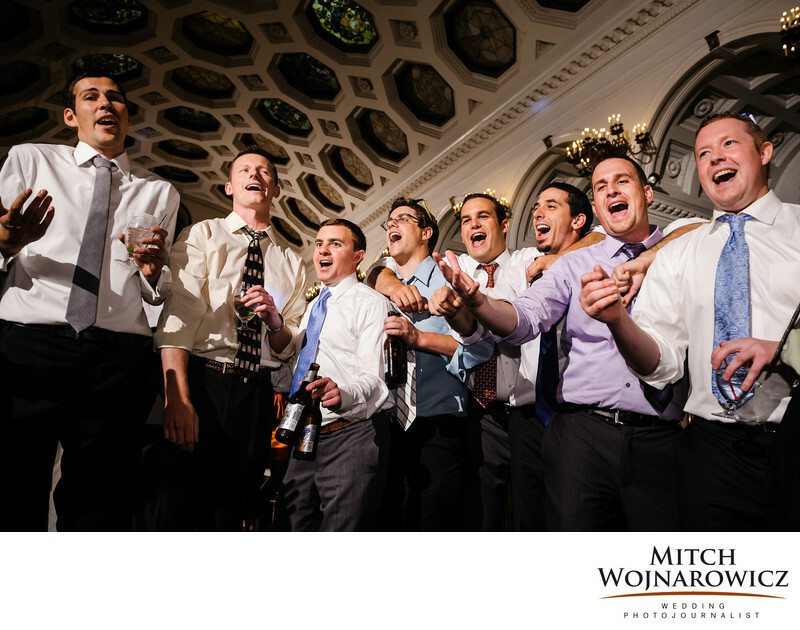 As a photojournalist wedding photographer in Saratoga Springs NY, I can bring you so many fun and real moments from your wedding such as this one. These are the fun pictures from your wedding along with the formal and portrait photos that you will cherish for years to come...If you want the best and affordable wedding photos, Mitch Wojnarowicz is a wedding photographer who serves Saratoga Springs NY. If you want couples portraits in Congress Park or just general ideas for wedding photos in Saratoga, look no further...Different wedding photographers are hard to come by, unless you find a genuine wedding photojournalist. One who truly takes a different approach to weddings, one who creates unique and offbeat wedding photos. Mitch Wojnarowicz Wedding Photojournalist is just the person. Keywords: canfield casino (24), saratoga springs (66).